Happy March, friends! I am so happy to introduce myself formally at this beautiful beginning. 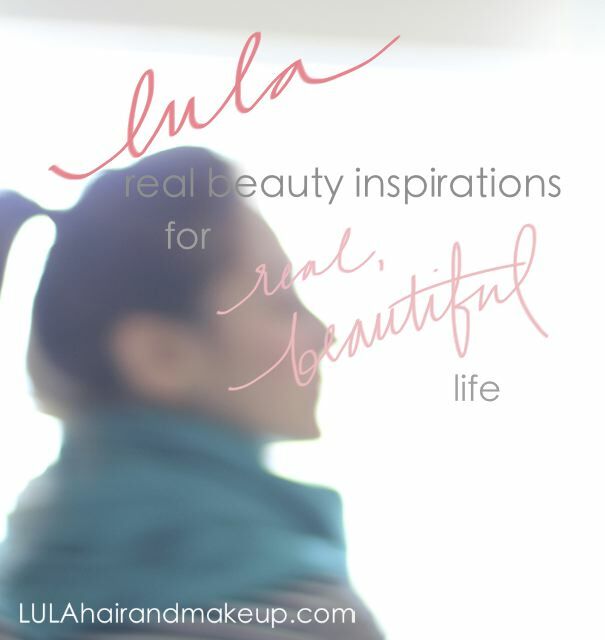 The beginning of sharing real looks and inspirations from LULA's lovely new web home and blog, yes, and the beginning of such an exciting season in all things beauty. My name is Samantha Ray, and I am the creator, dreamer, and lead stylist behind LULA Hair & Makeup. For more information about me and my story, check out the ABOUT LULA section! If you know me well already, or have been following my Facebook or Pinterest long enough, you know that when I say "beauty," I mean something far deeper and more grand than makeup and hair. Beauty is everywhere, in everyone, and all around us. It sways in the changing of the seasons, from summer's outgoing, obvious display of bold colors and fragrances to winter's quiet, understated, and restful allure. I see the same in our bodies. We ebb and flow, we grow, our tastes change, our skin and our hair have different needs at different times. I see it in architecture both antique and modern, in the daily hum of life, in music, in relationships. All you have to do is open your eyes to see more than what seems just regular. The last throws of winter are here, and the very beginnings of spring are starting to buzz quietly around us. Every season's change has a beauty all its own, but the transition to spring carries with it something special - there is color in place of gray, warmth in place of chill, blooms in place of bare branches. It is a sweet promise of life to the full, and exciting times shortly to come! Whether it's laughing around a dinner table with friends, dancing at a wedding, enjoying a picnic with family, running around town, or meeting some girl friends for brunch, we are thinking ahead to the newness we get to enjoy. We are women who have the amazing capability, and challenge, of juggling dozens of activities every day, no matter what season it is. We work hard, we [try to] clean and organize and maintain, we prepare meals that are _____ (healthy, cheap, enjoyable for everyone, organic, or some complex matrix of them all), we organize schedules in the many spheres of our lives, we take care of those around us, and try to care for ourselves, too. So, at the very first hints of the coming spring season, and to kick off the beginning of LULAhairandmakeup.com, we wanted to provide a few real-life-achievable, beautiful spring looks with our Spring Styled Series! We are using friends and family, each with their own set of unique, naturally beautiful assets. We will be posting those looks right here, each subsequent Monday in March, along with how-to tips and alternative ideas depending on different needs. We would love for you to take time to look around lulahairandmakeup.com, from the About section to the different galleries that are available. And, as always, you can find and follow us on Facebook, Pinterest, and Instagram! To celebrate all this newness, we are throwing a mini-dance-party and spreading some happy with a GIVEAWAY! 1. Sephora Brand Ribbon Hair Ties - Perfect for spring ponytails in an assortment of neutral colors, and they won't leave a crease when you switch up your style (or give you ponytail-headache, thank goodness!). 2. NARS Larger Than Life Lip Gloss in Place Vendôme - This gloss has some awesome staying power while still looking sheer and easy for spring. This shade is great for day or night! 3. Urban Decay NAKED Bronzer, Highlighter, and Blush Palette, in Native Flushed - Sits easy on the face and gives a seriously lovely glow, with all 3 elements for daily, fuss-free contouring. 4. Benefit "They're Real!" Beyond Mascara - LULA's personal favorite mascara! So good, you can use it by itself on your eyes - no liner required for easy breezy spring days. Here's how to enter - it's easy peasy! 1. Leave a comment on this post to say "Hi!" and let us know what looks, tips, or tricks you really want to see here! We are doing this for you, so don't be shy! What looks are you wanting to try but are not sure where to start? What beauty questions do you have? What spring trends are you most excited about? 2. 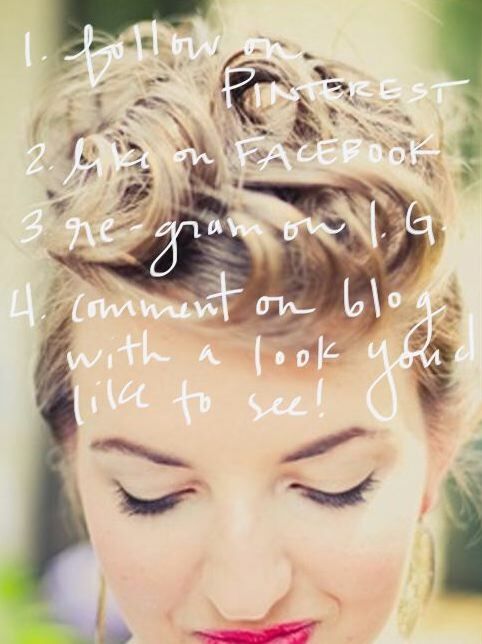 Re-post any LULA picture from this post on Instagram - just be sure to tag us @heysamantharay and/or #lulahairmakeup! 3. LIKE us on Facebook! 4. OR follow us on Pinterest! We've got some great life and beauty pins we hope you will enjoy! 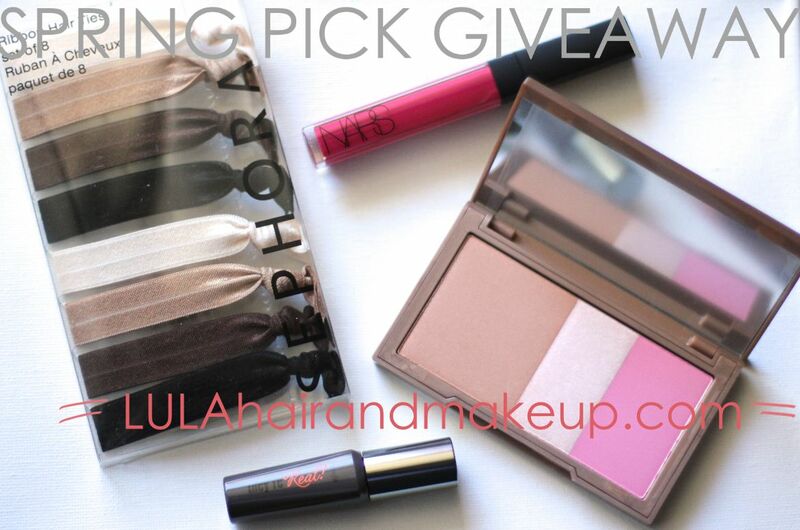 We will announce our winner a week from today, along with the start of our Spring Styled Series! We can't wait to share more looks, tutorials, and most of all, to hear from YOU! Please please feel a freedom to interact in the comments, because we are here to answer your questions, work with you, and provide beautiful inspiration for the beautiful, real life you are living!